Southwest Arkansas has a lot of Cretaceous rocks. During that time, Arkansas was right at the border of the Western Interior Seaway. 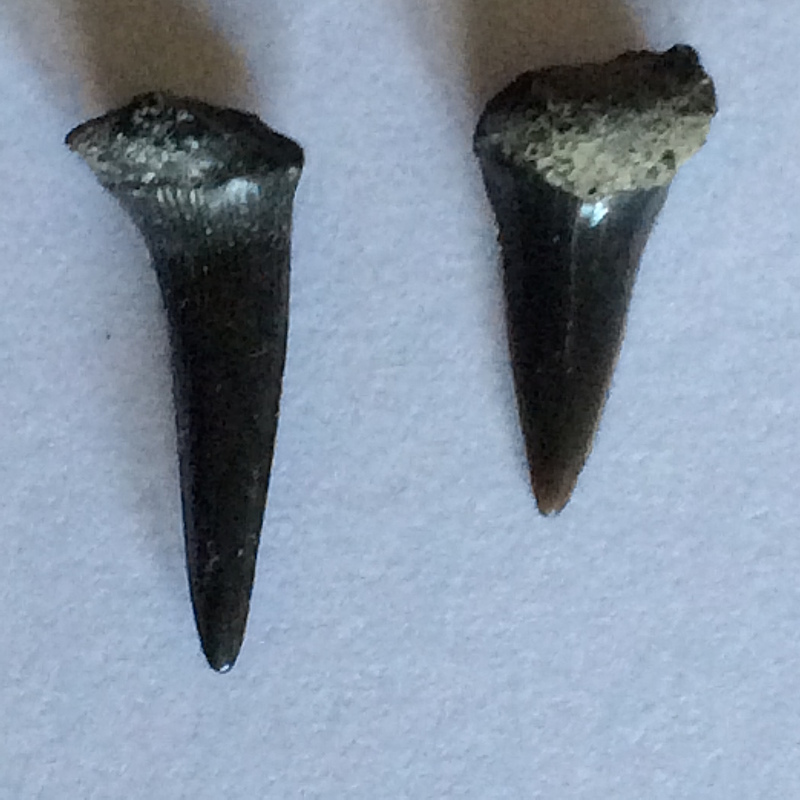 As such, one can find a lot of marine fossils from the dinosaur era, including mosasaurs, elasmosaurs, oysters by the millions, clams, shark teeth, and much more. You can also find shoreline fossils, such as thousands of dinosaur footprints and the occasional bone. If one crosses the border into North Texas, one can find a lot of fossils that are similar to the southwest Arkansas marine fossils. There is a website, called txfossils.com, a Texas resident has put up showing lots of pictures of the fossils found in the area. The pictures are divided into several categories. The first category is for cephalopods, which are mostly ammonoids. They are listed as ammonites, but they are mostly goniatites from what I can tell, although I can not see the suture patterns (the septa, or walls, between body chambers) well enough and most of them to say for sure. 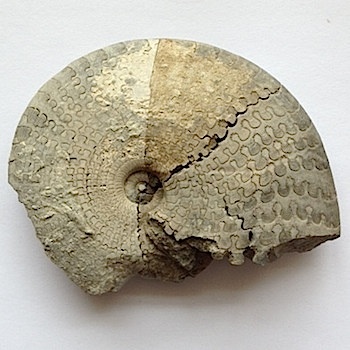 Even though most people refer to the entire group as ammonites, ammonites comprise a single subgroup with the larger group called ammonoids known for complex body septa. Goniatites have a simpler wavy pattern. Nautiloids comprise the third group and are known for simple curves forming the septa. The other categories include gastropods (snails), echinoids (sea urchins), bivalves (clams), coral and bryozoa, petrified wood plants, and bones from vertebrates. The vertebrate bones include a varitey of shark teeth and some teeth from Enchodus, the “fanged herring”. There are also what appear to be turtle shell fragments and some random bits of bone I cannot identify. There are lots of pictures (the two shown here are from the website) which should give you some idea what you are looking at if you go fossil hunting in southwest Arkansas. Enjoy. As always, if you find any vertebrate material, please let me know. If you find invertebrate fossils you would like identified, your best bet is to contact Rene Shroat-Lewis at the University of Arkansas at Little Rock or Angela Chandler at the Arkansas Geological Survey. By paleoaerie in Fossils of Arkansas, Paleontology, Uncategorized on February 23, 2015 .